SEOUL — Just days after being elected, South Korean President Moon Jae-in faced his first North Korean provocation, putting an early test to his stated policy to pursue peaceful dialogue with his defiant nuclear neighbor. The South Korean leader expressed solidarity with the United States and Japan by condemning North Korea for conducting what is believed to be the successful test of a new two-stage liquid fueled rocket on Sunday capable of flying up to 4,500 kilometers. The North Korean state news agency KCNA on Monday said the test was to verify the capability to carry a “large scale heavy nuclear warhead,” and the missile flew 787 kilometers, reaching an altitude of 2,111 kilometers. President Moon warned Pyongyang that provocations will be met with “stern responses.” He also called for the development of the Korean Air and Missile Defense system to be used in addition to, or in lieu of, the controversial U.S. THAAD missile shield that China objects to as a threatening increase of American military capabilities in the region. Moon’s clarified position on conditional talks seems fundamentally the same as that of U.S. President Donald Trump, and essentially the same as past American and South Korean administrations. “Seoul and Washington remain on the same page that the ultimate goal, that cannot be compromised, is the dismantlement of North Korea’s WMD (weapons of mass destruction) capability and facilities,” said political analyst Bong Young-shik with the Yonsei University Institute for North Korean Studies in Seoul. Beijing (CNN) Russian President Vladimir Putin has condemned North Korea’s latest missile launch as “dangerous” but warned against “intimidating” Pyongyang. Speaking in China, Putin called for a peaceful solution to the ongoing tensions on the Korean peninsula, Russia’s Sputnik news agency reported. “I would like to confirm that we are categorically against the expansion of the club of nuclear states, including through the Korean Peninsula,” Putin told reporters. “We are against it and consider it counterproductive, damaging, dangerous,” he said. For its part, North Korea said the missile test was in response to the nuclear dangers and threats posed by the US and its followers. North Korea said on Monday it had successfully conducted a mid- to-long-range missile test and would continue such launches “any time, any place”, defying UN Security Council resolutions and warnings from the United States. Last night, North Korea said the missile had the capacity to carry a “large scale heavy nuclear warhead,” but then again, North Korea says a lot of things, many of which aren’t true. What struck me as especially interesting, at least as far as domestic politics is concerned, was the written statement from Donald Trump’s White House. “With the missile impacting so close to Russian soil – in fact, closer to Russia than to Japan – [Trump] cannot imagine that Russia is pleased,” the White House statement said. As White House reactions to North Korean misconduct go, this is a pretty odd statement. The missile launch really didn’t have much to do with Russia, but Trump nevertheless appears eager to rope them in – as if the White House is looking for some country that might be willing to help solve a problem Trump doesn’t know how to address. It was therefore of great interest when Russia said it was largely unconcerned. The USA is considering both a diplomatic and military “solution” to North Korea. The continued missile tests by North Korea are apt to push Donald Trump to the point of intervention. As far as MSNBC’s characterization of Donald Trump’s statement as odd, the reality is that he wants to keep the North Koreans guessing. North Korean politicians have often been playing a dangerous game with their country and their people, and hopefully they will realize, sooner than later, that a military conflict is not in their interests. North Korea is one of relatively few small nations to have nuclear weapons and often brags about them and their potential use. Sadly, that is the case with North Korea. It will take the return of Jesus and the Kingdom of God to truly bring peace. While North Korea is not prophesied to take over the USA (Europe is per Daniel 11:39, etc. 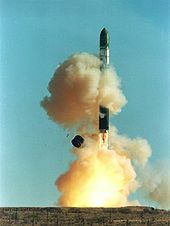 ), as I wrote in the past, it certainly is possible that it may decide to actually launch one or more missiles at the USA in the future (or take other “terroristic actions; cf. Leviticus 26:26). North Korea, sadly, is certainly capable of terrorism. It has threatened the USA and its White House in past years (see North Korea threatens the White House), and has been increasing threats against the USA and the region as the USA has taken steps to try to pressure North Korea. North Korean leaders should realize that Donald Trump’s actions in Syria and Afghanistan this year show that he is not against taking military action. This entry was posted on Monday, May 15th, 2017 at 7:00 am	and is filed under Prophecy.